As most of you know, the boys in my household, especially my youngest, are the biggest Ninja Turtle fans you will ever find! We have been collecting turtle toys for a really long time now, and my youngest (Beanie) is obsessed! 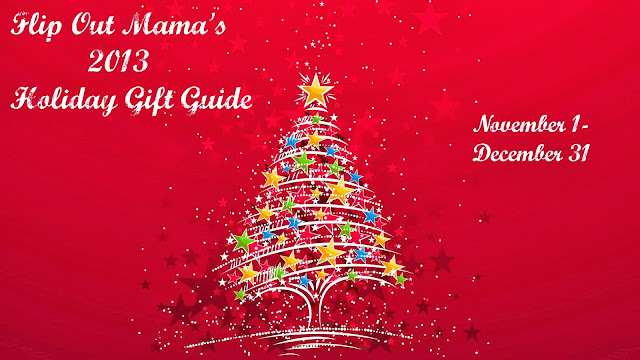 His Christmas list is nothing but Ninja Turtles toys, and I am happy to oblige! 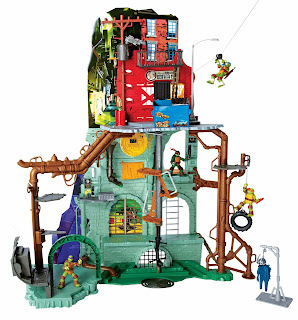 We recently got a chance to check out some really great toys from Playmates toys, the makers of TMNT toys, and we are in love with them! 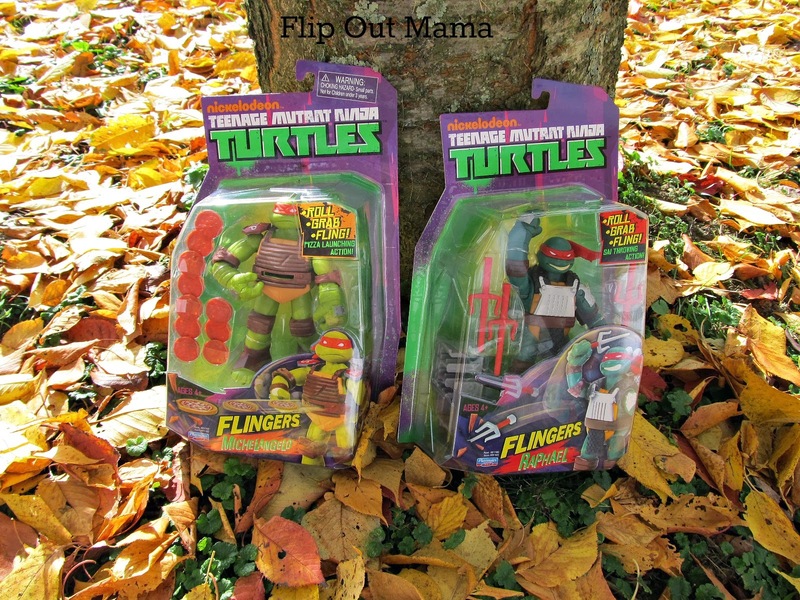 These are two of the awesome Teenage Mutant Ninja Turtles Flingers action figures! They are made by Playmates toys and they are SO cute! The Flingers are awesome! 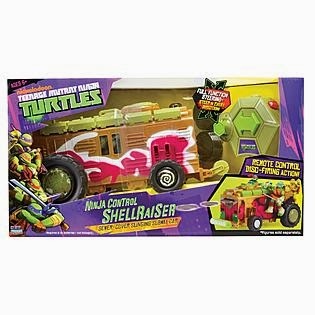 They are your favorite Turtles that you know and love, but this time, they are ready for battle! I love these little guys,and so do my little guys! 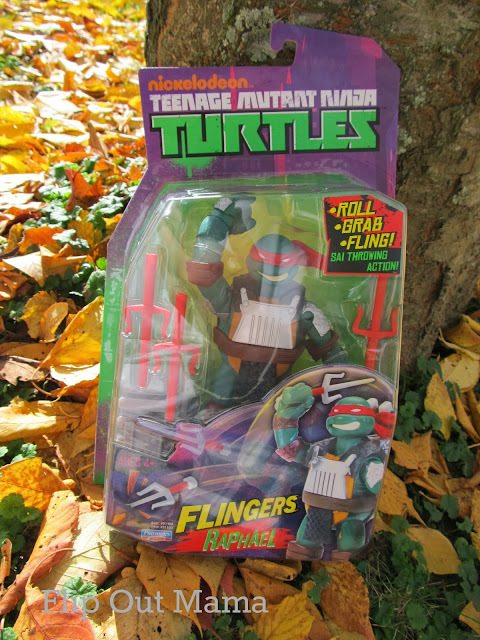 This, my friends, is TMNT Flingers Raphael! He throws his famous sais over his shoulder, which is great for fighting the bad guys! He's also wearing his super cool junkyard armor, so he is ready to go and do battle with any enemies that come his way! 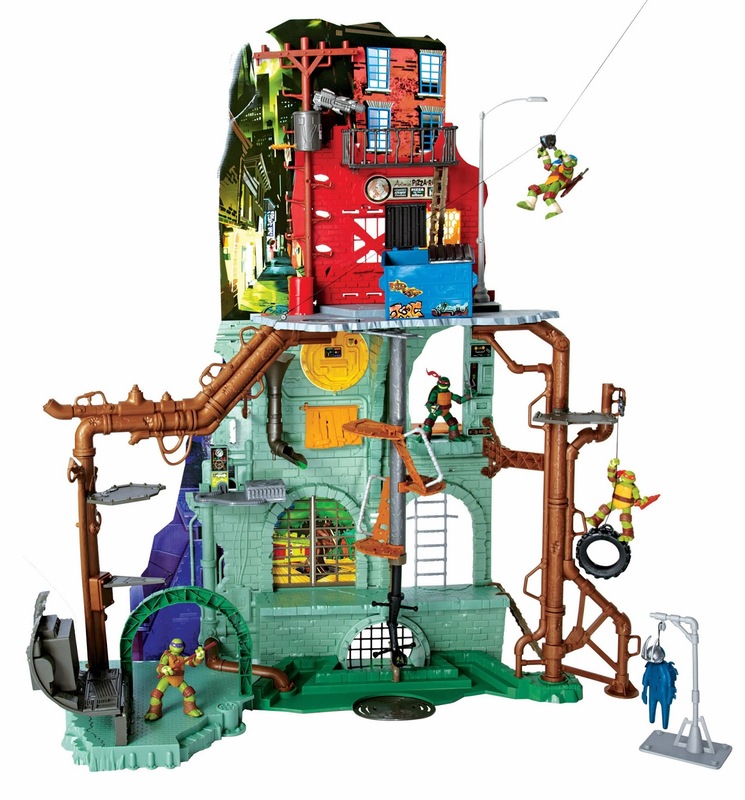 We love Raph at our house, and my boys have had a great time fighting all the villans (and the other turtles of course, that is what brothers do!)! 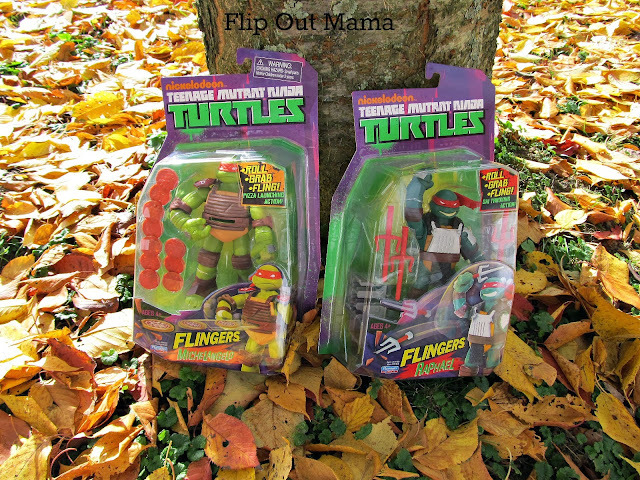 You can find TMNT Flingers Raphael at a ton of great places like Amazon, Walmart, Toys R Us and Target this holiday season! And now this lovely little guy! Meet TMNT Flingers Mikey! Mikey is by far our favorite turtle, he is just the cutest thing! 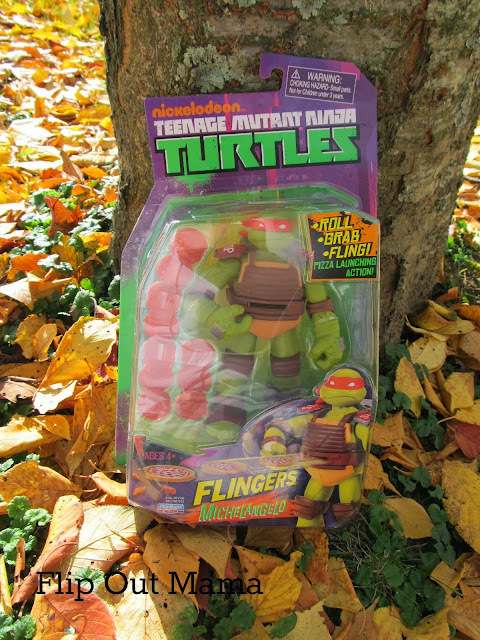 He's the baby of all the turtles, so I think that is why we are sort of partial to him :) This Mikey is special, he is a Flingers toy, so that means that he flings what else? PIZZAS! Love it! 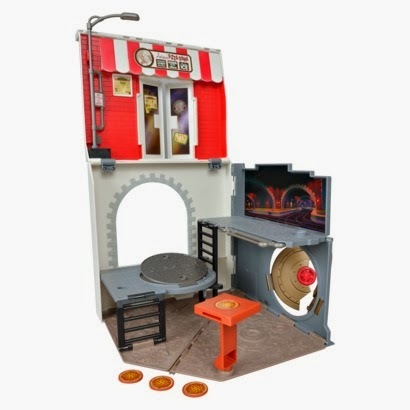 He comes with ten pizzas, and he can fling them at enemies in rapid-fire style! You just load the pizzas into his backpack, and he's ready to go! My boys have really loved this! It is their favorite Ninja Turtle toy that we own, by far!